Since 2009, the USA has celebrated National Miner’s Day on December 6th. 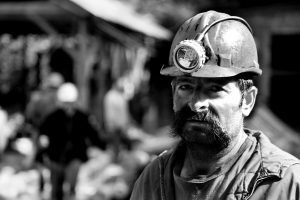 Other countries celebrate International Miner’s Day on December 4th, so whilst the exact date can vary depending on which country you’re in, let’s pause for a minute to consider what it means. Society in general often doesn’t appreciate the efforts made by miners to sustain modern civilisation. Power, heat and light arriving in our homes seemingly as if by magic, whilst highly polished consumer electronics that underpin the information age are far removed from the holes in the ground which is the original source of so many of their components. Those of us directly involved in mining can often get so caught up in the complications of keeping businesses running and a thirst for success that we lose sight of what our industry is based on. National Miner’s Day was set in 2009 to mark the anniversary of the worst mining accident in American history on December 6th, 1907 in Monogah, West Virginia when 362 miners lost their lives. National Miner’s Day provides an opportunity to reflect on the efforts made by the men and women involved directly in mining. To consider the efforts they put, and the risks they take, in order to support our lives in so many ways. In you get the chance to show your appreciation directly, please do so! Gwen Preston: Copper – Stronger Than It Seems? Pamlico Site Visit With Newrange Gold Corp.